FUEL EFFICIENT 38 MPG Hwy/29 MPG City! LE trim, MINERAL GREEN OPALES exterior and FA11 interior. CD Player, CRUISE CONTROL. 5 Star Driver Front Crash Rating. AND MORE! KEY FEATURES INCLUDE CD Player Keyless Entry, Child Safety Locks, Front Disc/Rear Drum Brakes. OPTION PACKAGES CRUISE CONTROL. Toyota LE with MINERAL GREEN OPALES exterior and FA11 interior features a 4 Cylinder Engine with 130 HP at 6000 RPM*. EXPERTS CONCLUDE Edmunds.com's review says The compact Toyota Corolla is the best-selling nameplate in automotive history. And with good reason: This is the quintessential economy car. It's small, inexpensive, fuel-efficient and reliable.. 5 Star Driver Front Crash Rating. 4 Star Driver Side Crash Rating. Great Gas Mileage: 38 MPG Hwy. OUR OFFERINGS Central Maine Motors Auto Group has been proudly serving the community since 1935. We do not charge documentation fees, we provide a full tank of gas whether you choose to purchase a new or pre-owned vehicle as well as complimentary, lifetime Maine State Inspections. Please confirm the accuracy of the included equipment by calling us prior to purchase. LOW MILES - 63,497! LS trim. EPA 35 MPG Hwy/25 MPG City! iPod/MP3 Input, Onboard Communications System, AUDIO SYSTEM, AM/FM STEREO, ENGINE, ECOTEC 1.8L VARIABLE VALVE TI... TRANSMISSION, 6-SPEED AUTOMATIC. READ MORE! KEY FEATURES INCLUDE iPod/MP3 Input, Onboard Communications System. Keyless Entry, Remote Trunk Release, Steering Wheel Controls, Child Safety Locks, Electronic Stability Control. OPTION PACKAGES AUDIO SYSTEM, AM/FM STEREO with equalizer and digital clock (STD), TRANSMISSION, 6-SPEED AUTOMATIC (STD), ENGINE, ECOTEC 1.8L VARIABLE VALVE TIMING DOHC 4-CYLINDER SEQUENTIAL MFI (PZEV) (138 hp [103 kW] @ 6300 rpm, 125 lb-ft of torque [168.8 N-m] @ 3800 rpm). Chevrolet LS with MOCHA BRONZE METALLIC exterior and JET BLACK/DARK TITANIUM interior features a 4 Cylinder Engine with 138 HP at 6300 RPM*. EXPERTS ARE SAYING Edmunds.com's review says The 2014 Chevrolet Sonic is one of our top picks for a subcompact sedan or hatchback thanks to its blend of power, comfort and feature availability.. Great Gas Mileage: 35 MPG Hwy. 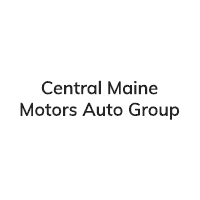 BUY FROM AN AWARD WINNING DEALER Central Maine Motors Auto Group has been proudly serving the community since 1935. We do not charge documentation fees, we provide a full tank of gas whether you choose to purchase a new or pre-owned vehicle as well as complimentary, lifetime Maine State Inspections. Please confirm the accuracy of the included equipment by calling us prior to purchase. Get in the driver’s seat of a high-quality used car from our used car dealership near Bangor, ME, today! At Central Maine Motors Auto Group, we have three different car dealerships that sell a total of eight different brands: Chrysler, Jeep, Dodge, Ram, FIAT®, Chevy, Buick and Toyota. With that many brands in our combined inventory, you’re sure to find a used car, truck, SUV or van you love! Shop our selection of used cars to find one that’s still in great condition, like a used Jeep Cherokee or a used Toyota RAV4. Need something on a tighter budget? Be sure to check out our used cars under $10,000. We also have Certified Pre-Owned vehicles for those who want greater peace of mind. Each of these CPO cars, trucks, SUVs and vans has been meticulously inspected before it hits our lot. This way, we ensure you get the quality used car you desire. Visit our Waterville used car dealerships today and find the right pre-owned vehicle for you!